Click on the '+' icon in your left navigation next to 'GROUPS' to begin creating your group for adults. Be sure to select the Adult-based group option in the form that appears on your screen. After your group is created, it will show up here in 'My Network.' You can edit the name, add a profile picture, and delete the group by clicking on the pencil icon. To add additional administrators to your group, click here and fill out the invite form. Type or copy and paste your invitees' email addresses. 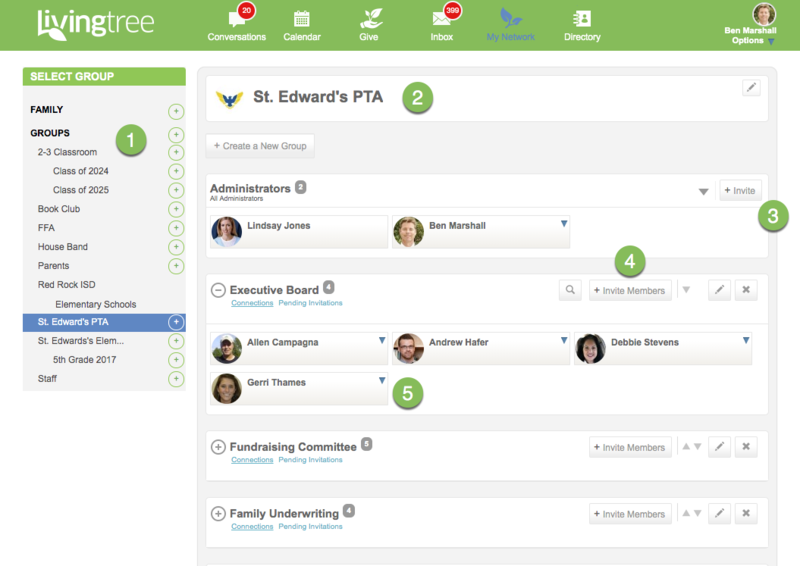 Once added, they will have the same access to your organization as you do. Calendars and activity will automatically sync with their profiles as well. Click the '+ Invite Members' button to invite the adults in your group, and enter the emails of the people you wish to add. Once your members are connected, you can use the magnifying glass to search for a particular member. To remove a member from your group, click on the arrow next to their name. list into the field. Note, that red indicates there is an error with the address. 7. 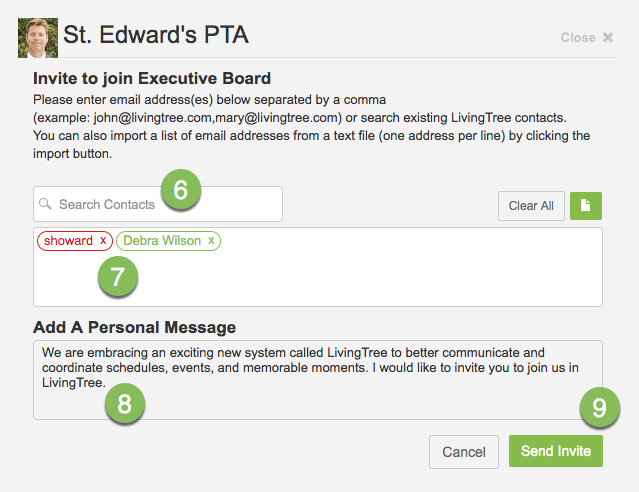 To add members whom you’re already connected to on Livingtree, select ‘Livingtree Contacts’ and check the corresponding box of the adults you’d like to invite. You can also upload a .txt file (WordPad) of email addresses by clicking the paperclip icon. 8. If you like, type a personal message to your recipients.